#StampingSaturday again? I know you are surprised that it has returned so quickly. 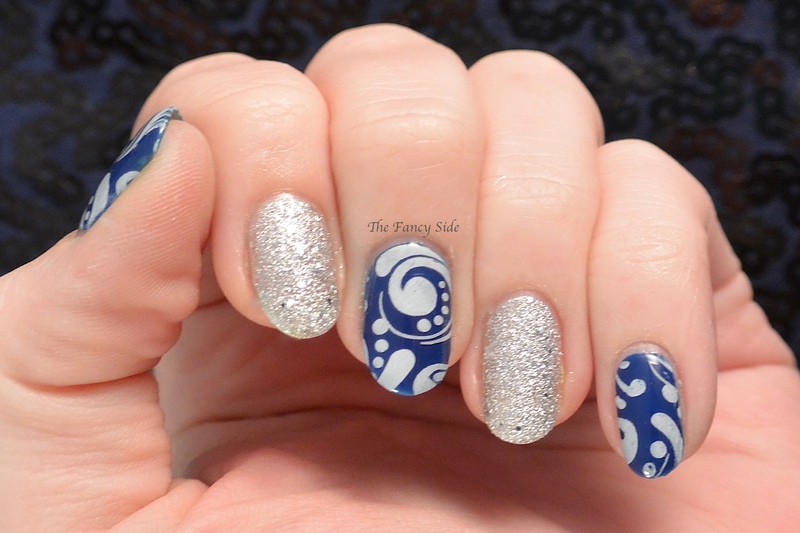 ;-) Today I have a look that was inspired by Coewless Polish. You can see her amazing, freehanded, look here. Since my freehanded skills are not as amazing as hers, I decided to go with a stamped look. 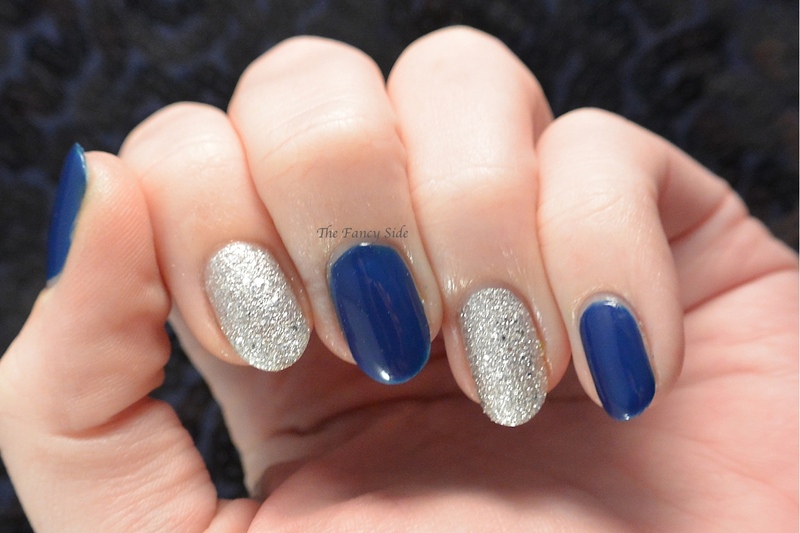 I started with a base of China Glaze Man Hunt and OPI It's Frosty Outside. 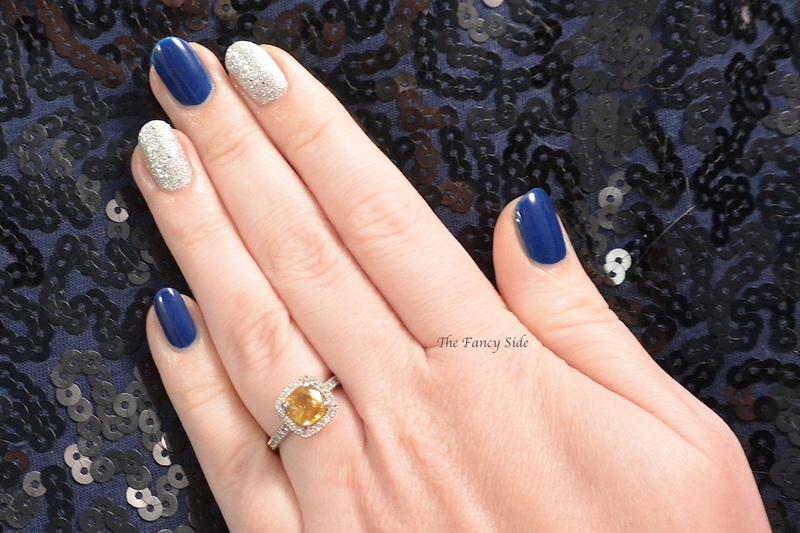 While I have Push & Shove like the original mani, I wanted my look to last a few days so I went with the liquid sand as my choice for the silver. 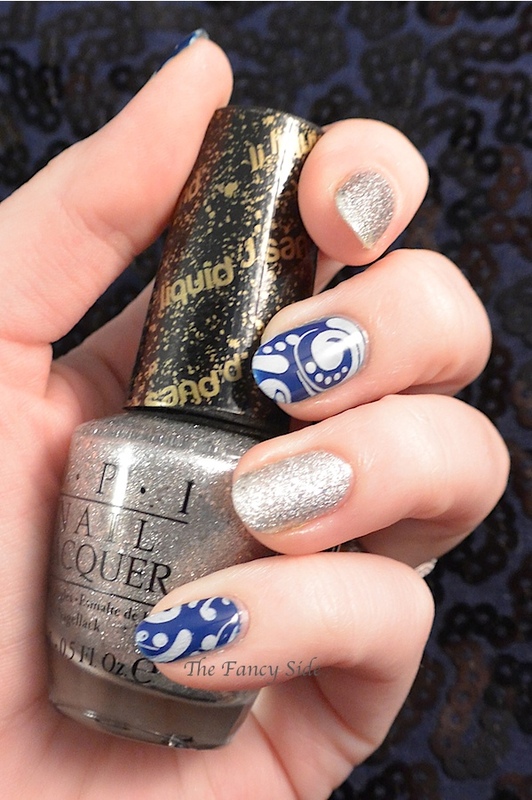 I then went in with PUEEN 59 and Bundle Monster's stamping polish in Angelic White to do the swirls. My plate pattern was fairly similar to the inspiration, so of course this makes me happy. 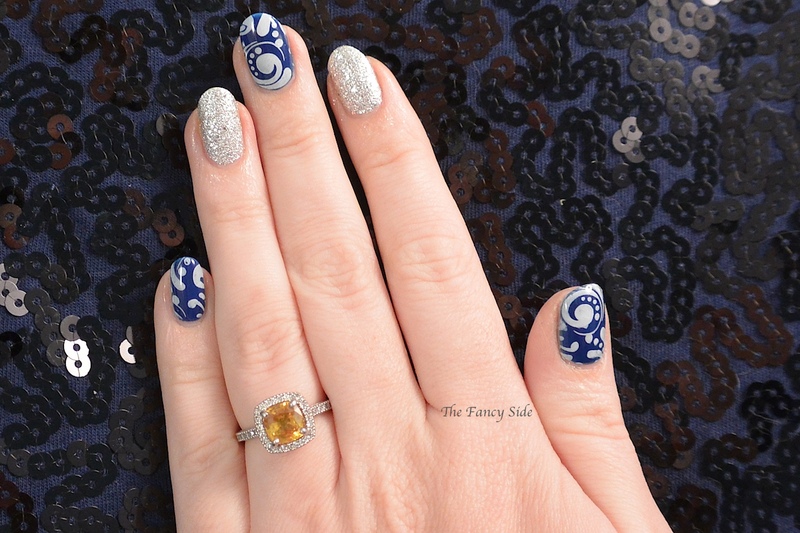 The Bundle Monster White stamping polish isn't as opaque as Konad's but it applies easily and stamps great. There you have it. My finished look. I got a ton of compliments on these at work yesterday. I keep flashing them in the fiances face and he's all "I get it, they are cool. Stop wiggling your fingers in my face." 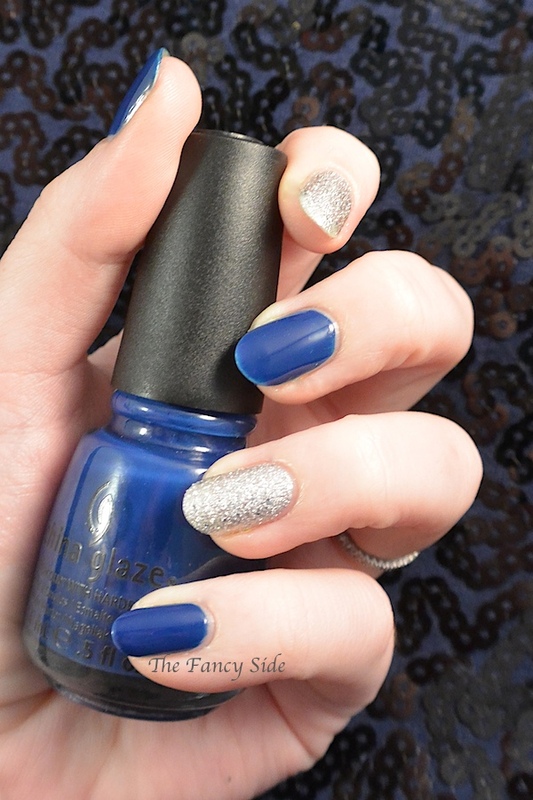 Don't forget to link up your stamped mani below. I love seeing what everyone else comes up with.